I’ve been waiting for the rally in marijuana stocks to end. And the performance of Aurora Cannabis (NYSE:ACB) on Tuesday suggests the long-hot sector may be ready to cool. Although news that Aurora Cannabis stock is now listed on the New York Stock Exchange might seem positive, that hasn’t allowed ACB stock to escape a 10% drop as of this writing. Certainly, what is a clear “risk-off” trade in U.S. stocks is playing a part. But the fact that ACB stock has fallen on the NYSE listing shows the energy behind marijuana stocks is quickly fading. Luke Lango presciently argued earlier this month that Canada’s legalization on Oct. 17 would be a “sell the news” event for marijuana stocks. So, too, has been the NYSE listing for Aurora Cannabis stock, and that could portend further struggles for the stock and its peers in the marijuana space. In theory, the listing of Aurora Cannabis stock on the NYSE should be good news. The listing should improve liquidity, as it lowers bid/ask spreads and improves trading. Furthermore, the listing allows some mutual and index funds to now own ACB stock, when internal rules against purchasing OTC issues previously prohibited them from doing so. To be fair, in practice, it doesn’t always work out that way. Canopy Growth (NYSE:CGC) fell on its first day of trading on the NYSE back in May. But, lately, marijuana stocks have been able to rally on any single piece of good news. The fact that Aurora Cannabis stock not only isn’t rising, but is down big, strongly suggests a change in sentiment toward the marijuana space. After all, it’s important to remember how thin some of the catalysts for marijuana stocks have been. Tilray (NASDAQ:TLRY) went from $17 to $300 with help from a single Tweet from short seller Citron Research. Canopy made a $370 million acquisition last week and added $1 billion in market value, with the space’s four biggest stocks, including ACB stock and Cronos (NASDAQ:CRON), seeing combined gains around $4 billion. Even indirect plays like New Age Beverages (NASDAQ:NBEV) have soared simply based on the mention of “cannabis” or “CBD”. No premise has been too flimsy for pot stocks to move higher. And while there are some real reasons for optimism here — and real companies with real profit potential — that rising tide has lifted too many leaky boats. Aurora Cannabis stock very well may be one of them. Overall, the pot space still looks overvalued, even after a recent pullback. The lessons of the dot-com bubble are instructive here. Not everyone is going to win. And earnings five or ten years from now are not worth a dollar of earnings today. For Aurora Cannabis stock, there are more immediate risks. As Will Healy pointed out, free cash flow is sharply negative and dilution is a very real possibility. Somewhat surprisingly, Aurora Cannabis has started selling down its stake in The Green Organic Dutchman Holdings (OTCMKTS:TGODF), which it acquired only in January. That alone seems to suggest that Aurora itself is either in desperate need of cash and/or it sees some of the gains in smaller marijuana stocks as unsustainable. Restrictions on retail sales in the Canadian market (including limiting the number of locations owned) could make it difficult for a company like Aurora to achieve sale. I still think Canopy, particularly with its acquisition of Hiku, is the best play in the space. Even beyond Canopy, competition will be fierce. And Aurora remains a company valued at roughly $7 billion on negligible revenue. The sector in general looks overvalued. In comparison (particularly to CGC), ACB stock is even moreso. Between the post-Oct. 17 sell-off and the inability of the NYSE listing of Aurora Cannabis stock to move the sector higher, investors are looking for real catalysts, not imaginary ones. It’s a dangerous combination for a stock valued at something like 150x revenue. And it suggests that Tuesday’s declines may be the beginning of a pullback in ACB stock … not the end. 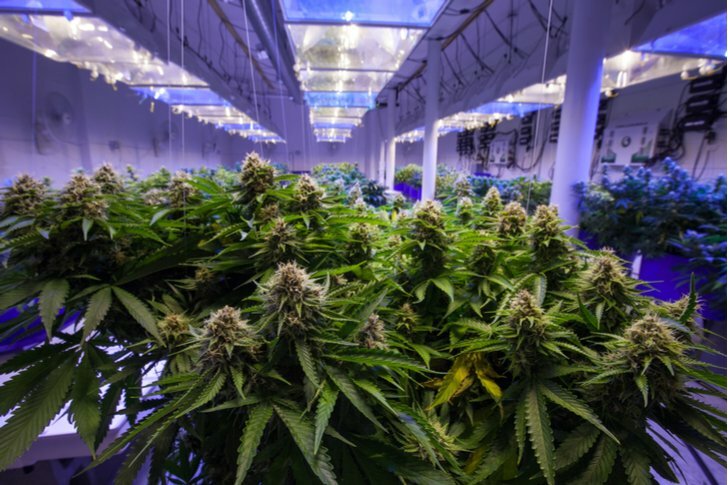 Article printed from InvestorPlace Media, https://investorplace.com/2018/10/aurora-cannabis-picked-the-wrong-day-for-a-u-s-listing/.